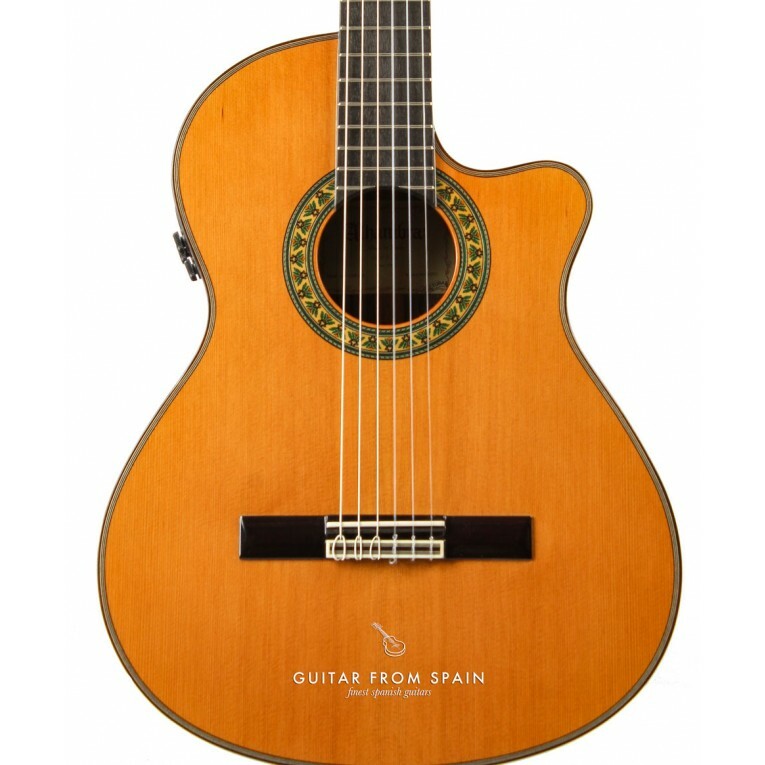 The Guitar Alhambra 5PCW E8 is the new version of the model 5PCW E2 now with the new pickup and preamp system Fishman FLEX-Blend. 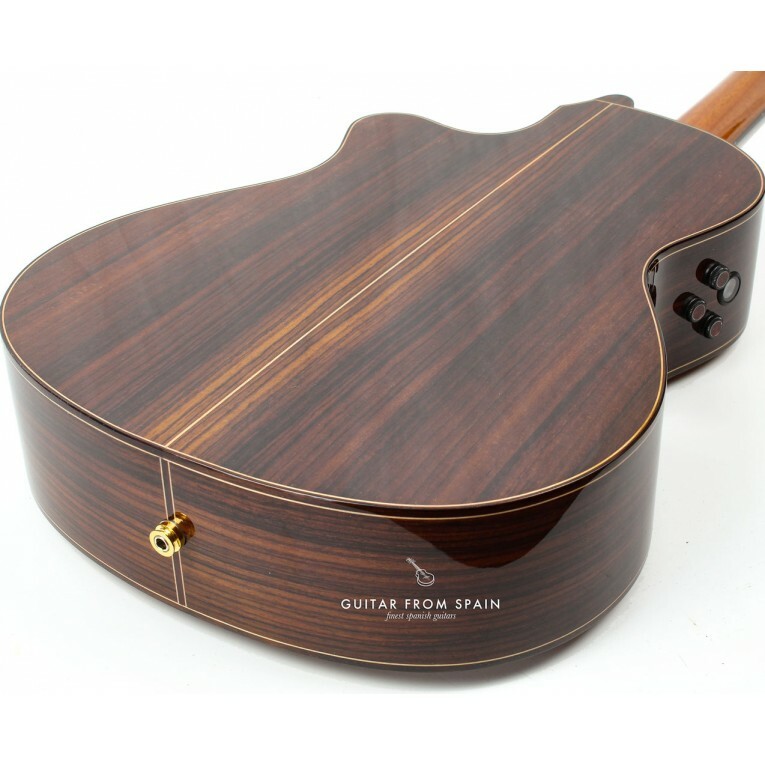 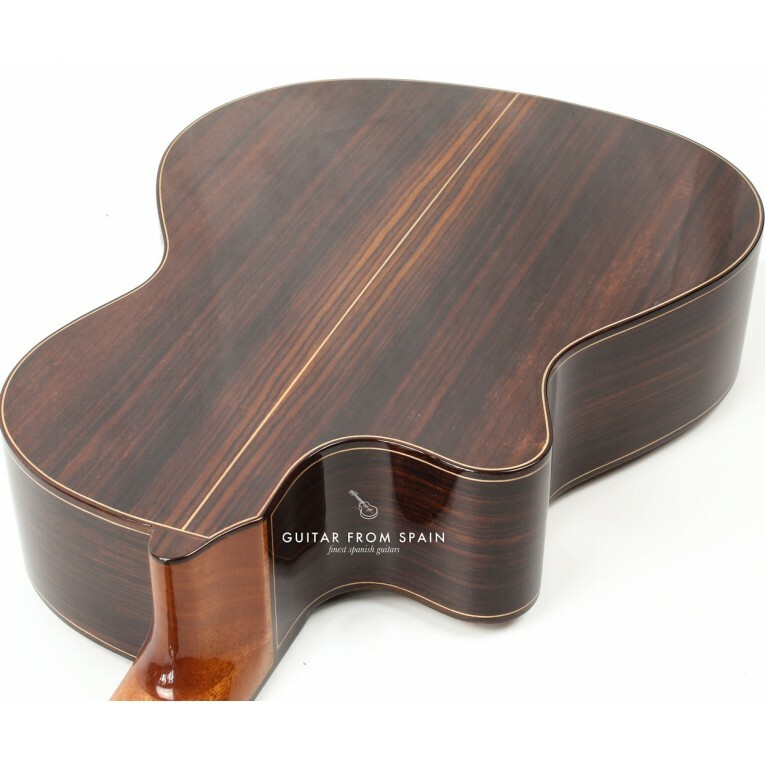 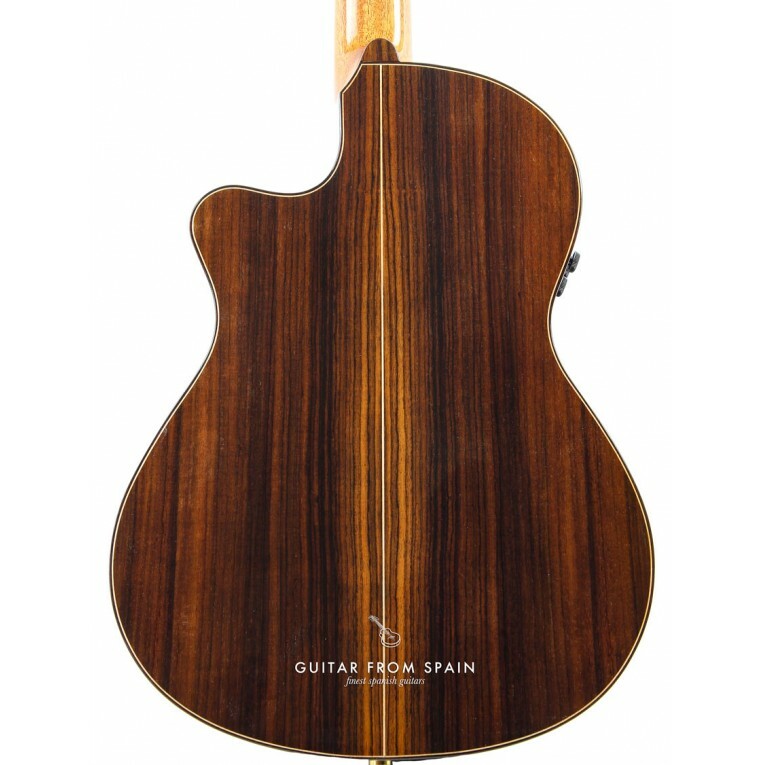 This is an Electro Classical Guitar with full body made in Spain with select woods. 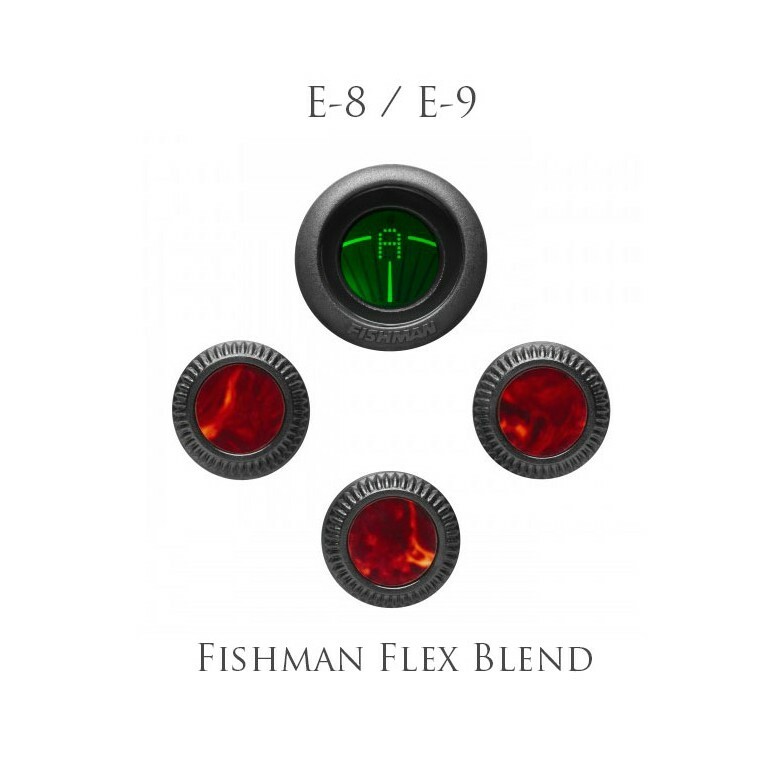 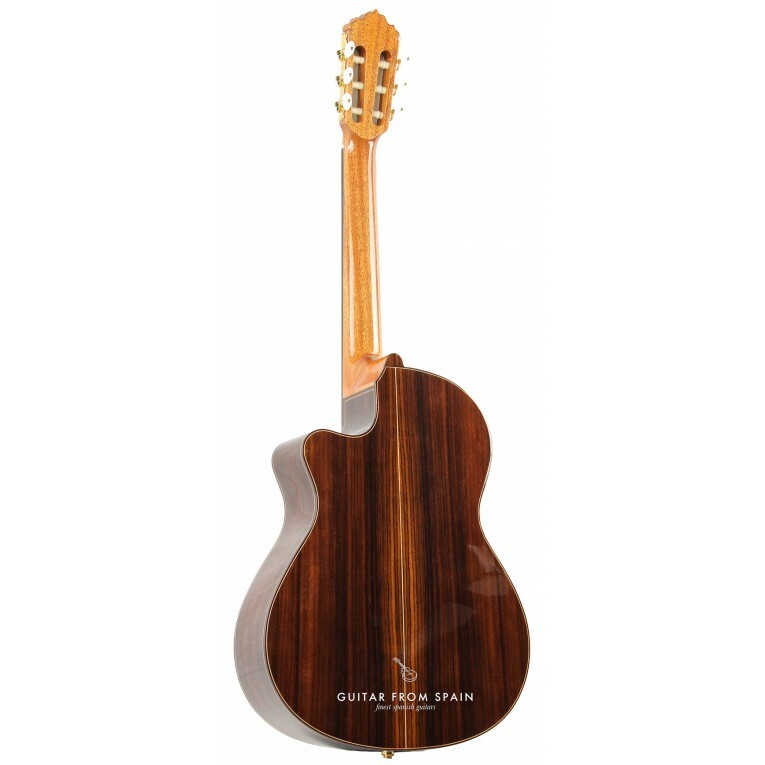 Solid cedar top, indian rosewood for the back and sides, cutaway body, ebony fingerboard , ebony reinforcement strip inside the neck and Fishman Flex-Blend system with pickup and microphone. 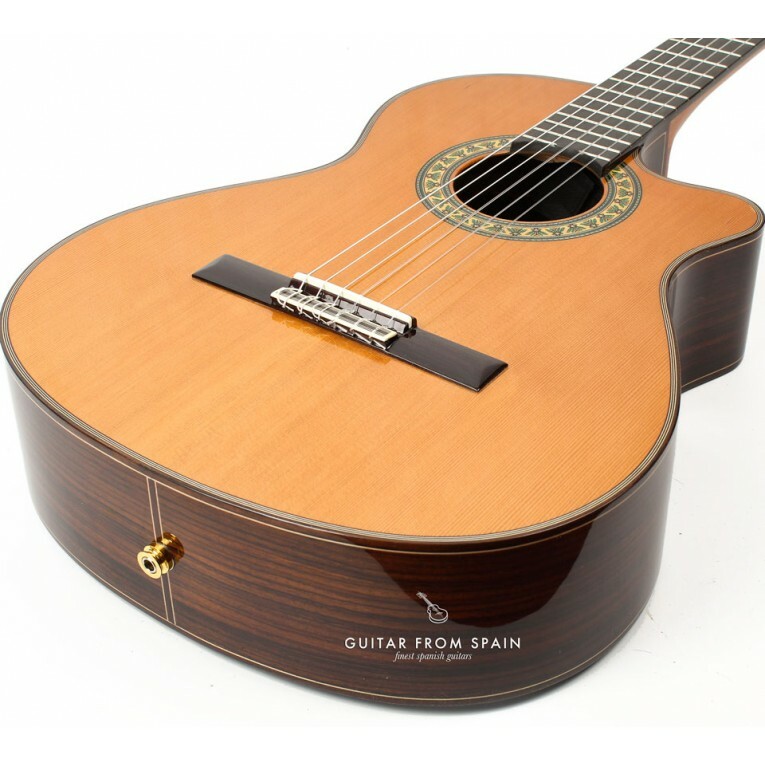 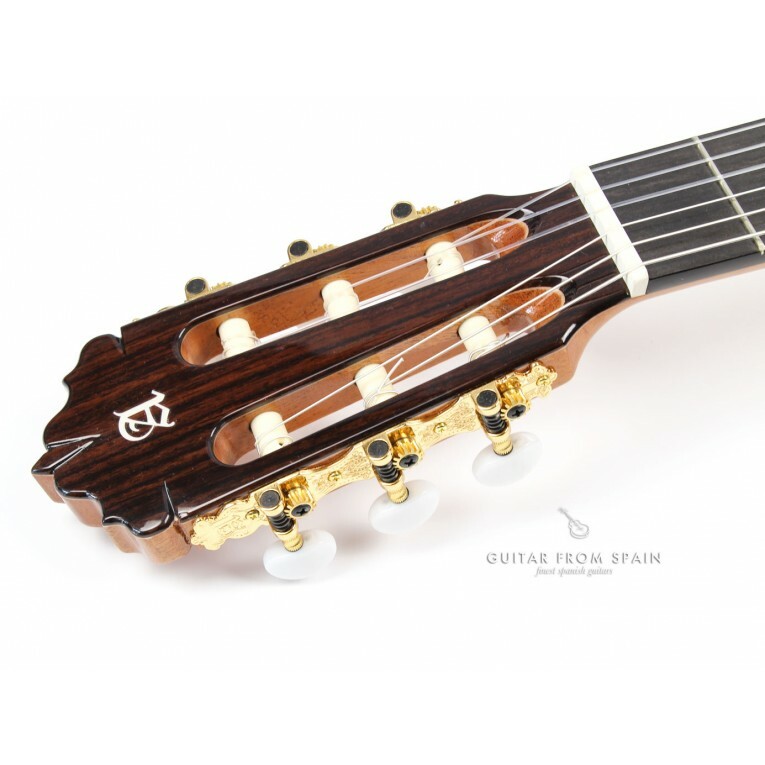 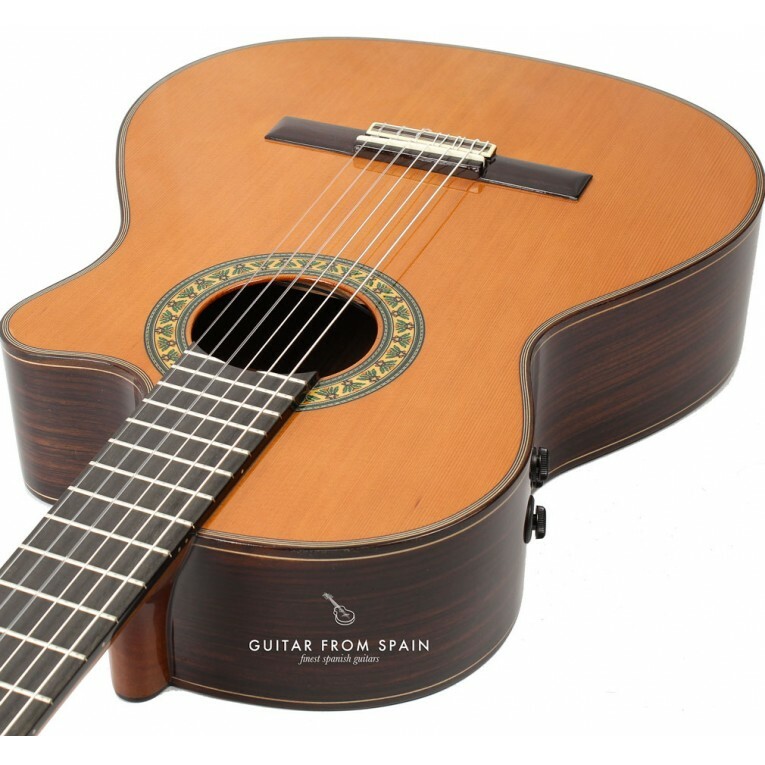 The Alhambra’s best-selling, mid-range, cutaway classical guitar. 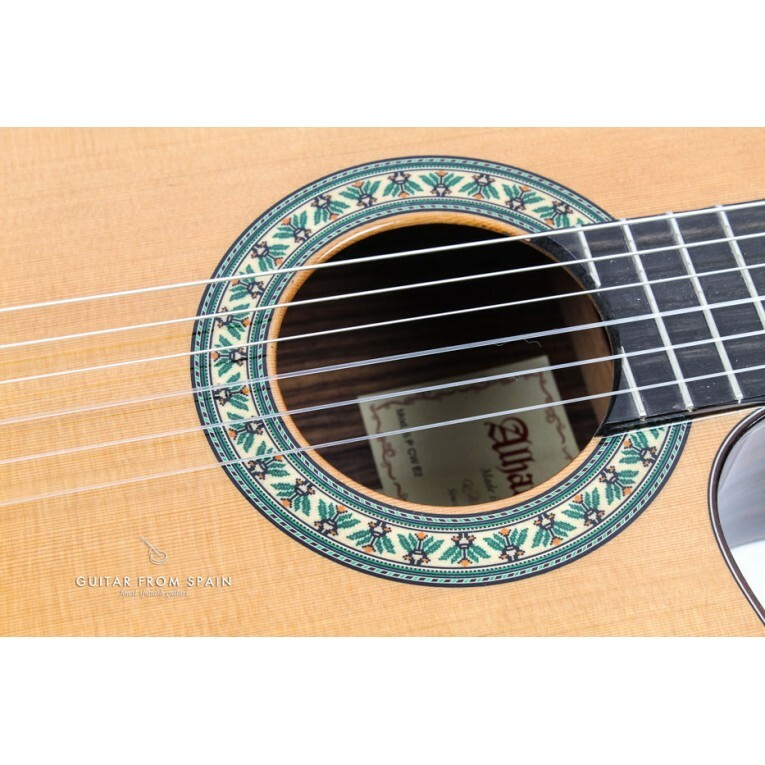 Steel string and electric guitarists who are thinking of purchasing a nylon string guitar they can find in this new model a guitar that allows better playability. 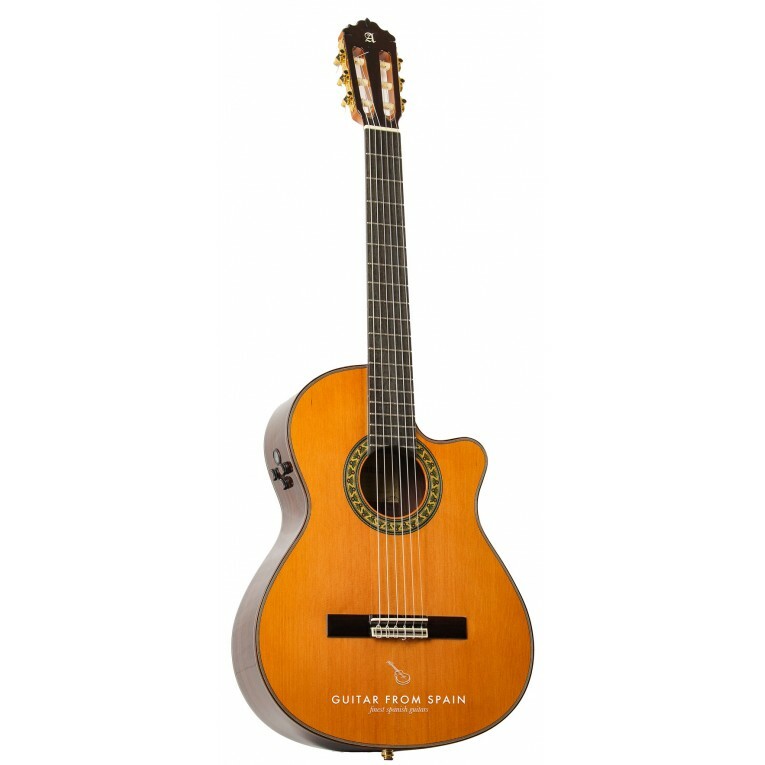 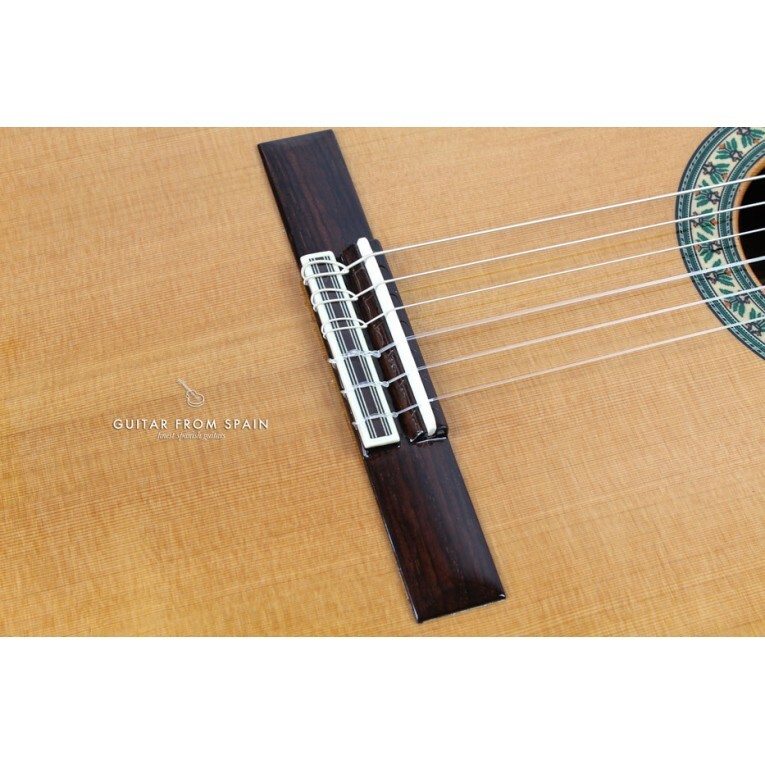 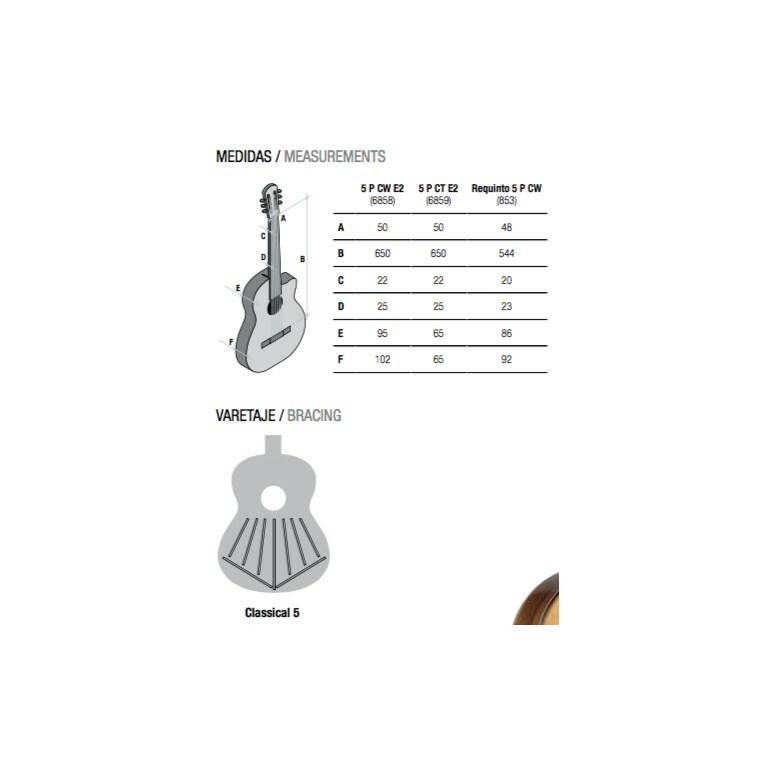 This guitar has narrower neck, the characteristics are close to steel stringed guitars, which allows you to easily enjoy the colorful warmth of nylon strings and play any styles on it. 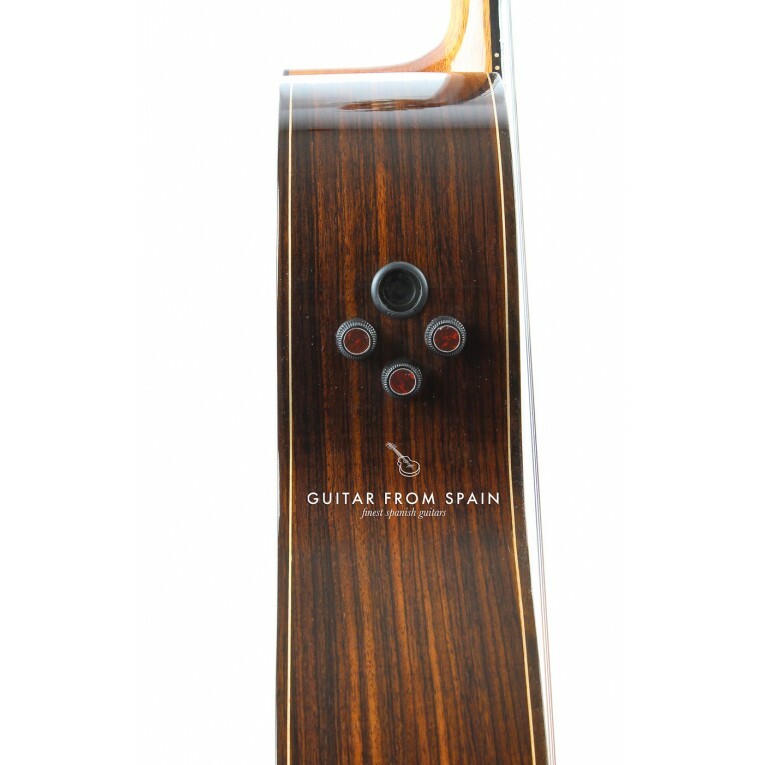 Alhambra Guitar bag included.